Direct Communications is the only Internet Provider in your town that gives you access to this fantastic online sports network. 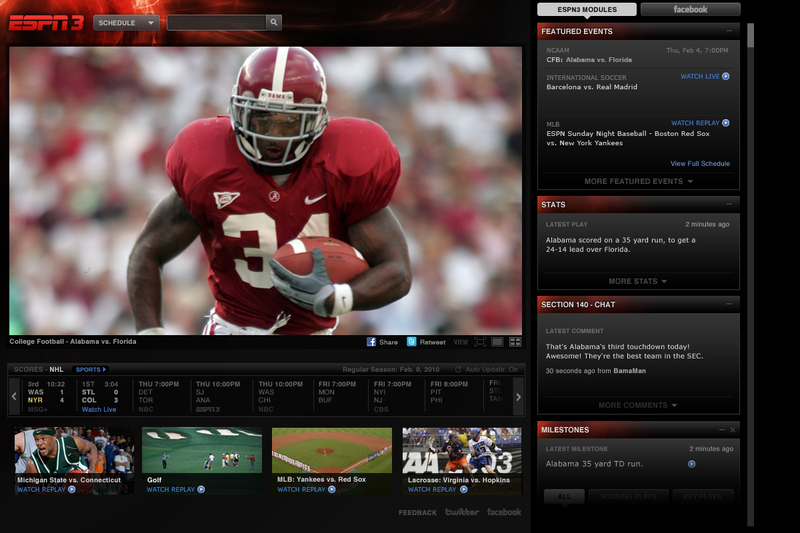 Plus, if you are a Direct Communications Broadband customer, ESPN3.com is now available on Xbox LIVE!. ESPN3 will stream over 90 college football games during September, over 50 of which are exclusive. ESPN3 will stream over 90 college football games during September, over 50 of which are exclusive. Teams playing on ESPN3 include Florida State, Virginia Tech, Miami, Georgia Tech, Maryland, Pitt, and Indiana. Catch more than 300 hours of the US Open with ESPN3. ESPN3 will stream both the Men’s and Women’s Quarterfinals. The PGA Tour Playoff will be underway and ESPN3 is bringing you excellent coverage of the Deutsche Bank Championship, BMW Championship, and Tour Championship. Witness who wins the biggest purse of the year. For the first time ICC World Twenty20 will appear exclusively on ESPN3. Tune in to over 65 hours of live coverage to see if England can defend their title.